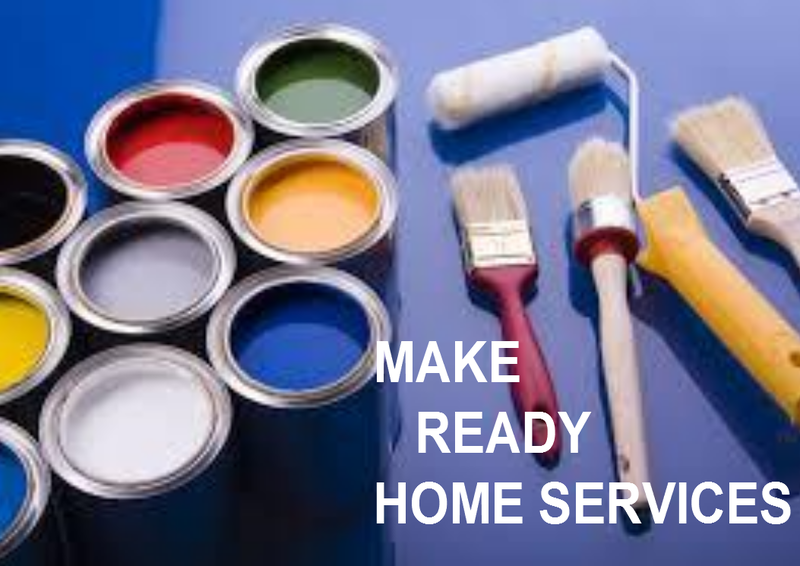 Home repairs to sell your home – When you are preparing your home for sale, there are many inexpensive improvements you can do to your home that will bring you greater value and help sell your home faster. We have all heard that you should de-clutter, de-personalize and have chocolate chip cookies baking in the oven when it is shown. We also know that if you have unlimited funds that granite, hard wood and stainless steel appliances are all the rage, but expensive. There are also the basic improvements, such as new carpet, but this can still costs thousands of dollars. Structural damage to roofs can seriously put off buyers, it is worth checking out services similar to Prime Roofing of Jacksonville. The following are some inexpensive ways to improve your home with very little cash that we suggest you consider before selling. Create Value Selling a Home, Home repairs to sell your home. Call Ted with Plano Texas Handyman at 214-507-3415 or visit our website for a complete list of all our home improvement capabilities. The national association of realtors does a study every year of “Remodeling Cost Vs. Value Report”* where they rate home projects with the highest and lowers return on investment. Last year the highest return on investment went to replacing your front door (85.6% R.O.I). The first impression is a lasting impression so make it count. A dated front door makes a house look cheap, and a worn front door makes a house un-cared for or old. However, if you have a nice front door and if you don’t need to replace your front door consider painting it a bold color, maybe using high-gloss paint or staining of its stained. If your front door is in disrepair, consider replacing it with a new, stylish door. For a $300 to $800 dollars you can buy a nice door. It is also a nice touch to put a flower pot on each side of the front door with flowers in bloom. It adds up, it is always a good idea to understand the value of the market as well. My friend was selling his home in mississauga and he looked at houses for sale in mississauga, it really helped him make choices. Home repairs to sell your home. This is also true for interior doors. If you have old dated brown flat panel wood doors, consider replacing them with nice raised panel white doors or paint the existing door to make them look clean and fresh. The basic raised panel hollow-core doors are about $20 to $30 and they come pre-primed. If you want to make an extra good impression, replace the trim the with and an updated style. Home repairs to sell your home. This is such an easy improvement, but can really stand out. We have seen freshly painted rooms with old yellowed ugly switch plates. Even worse, some even paint over them. New switch plates cost about 50 cents each. You can replace the entire house with new switch plates for about $20. For the entry, living room and other obvious areas, spring for nice bronze or brass plates. They run about $5 each – but make a difference. Create Value Selling a Home, Home repairs to sell your home. In addition to changing doors, consider changing the handles. An old door handle, especially worn gold ones look bad. For about $20, you can replace them with new bronze finished handles. For an added touch you can also replace bathrooms and bedroom door handles with the fancy lever handles (about $20 each). Home repairs to sell your home. 5. Caulking, Weatherstrip, and clean windows. Caulk all your tubs and and showers, make them look freshly new. Replace the weatherstripping on all exterior doors, it dampens road noise and makes the house seem tight. Have your windows professionally cleaned, this is a massive improvement that will make your home seem new. Home Improvements when selling a home, Home repairs to sell your home. It is amazing how many older homes that have an ugly old shower curtain. An old used shower curtain can be a turnoff and make the home feel dirty. If your shower/tub is nice, buy a curtain that ties back so you can show off your tub and display decorative soaps and candles. If you have shower doors and they are worn and beyond reviving, consider removing and hanging a curtain. If you need to replace a shower door, consider clear glass to make the bath look larger (unless the shower is unsightly then use obscure glass). A new shower door cost about $500. Shower Doors and More will measure and install for about the same price as the door alone. If you need a new vanity they are a couple hundred dollars. Make sure the bathroom is clean, put up decorative towels and soap. So make a trip to Ross, Tuesday Mornings, Fred Meyer or Target and buy some fresh towels, decorative soaps a nice new rod, curtain hooks and a fancy curtain. Home Improvements when selling a home, Home repairs to sell your home. Replacing kitchen cabinets is expensive, but painting them can save you money. If you have old 1970?s style wooden cabinets in a lovely dark brown shade, paint them. Use a semi-gloss white and finish them with colorful knobs. Replace the old dated doors with new shaker style doors and paint. There is no need to paint the inside just organize them well so if they are opened it, is not scary in there! For a considerably more you can replace the cabinet doors and paint them to match the cabinets. Americans spend a major amount of their time in the kitchen so a nice bronze modern faucet looks great as well. They cost around $150 from Home Depot but you can shop sales or go to Amazon or eBay for better deals. Home Improvements when selling a home, Home repairs to sell your home. If the front of you home is plain or you have old looking windows, consider adding shutters. You can purchase them in a few colors at Lowes and are easy to install. For a custom color you can purchase them pre-primed. Paint them a color that sets off your house. They do not necessarily need to be the trim color – (if the house is dark, paint the shutters white. If the house is light, paint them dark). You can enhance your curb appeal by just painting the trim of your house. We actually replaced our outside trim and added crown and dental molding and now our standard 80’s home looks more like a craftsman home and the trim really pops. Home repairs to sell your home. Everyone on the block has the same black mailbox. Be different and for about $35 you can buy a nice mailbox. For about $60 more, you can buy a nice wooden post for it. People notice these little details and buyers love them! Also buy new house numbers or paint the existing ones make them stand out. Be creative. Home repairs to sell your home. Call Ted with Plano Texas Handyman at 214-507-3415 or visit our website for a complete list of all our home improvement capabilities. Home repairs to sell your home.